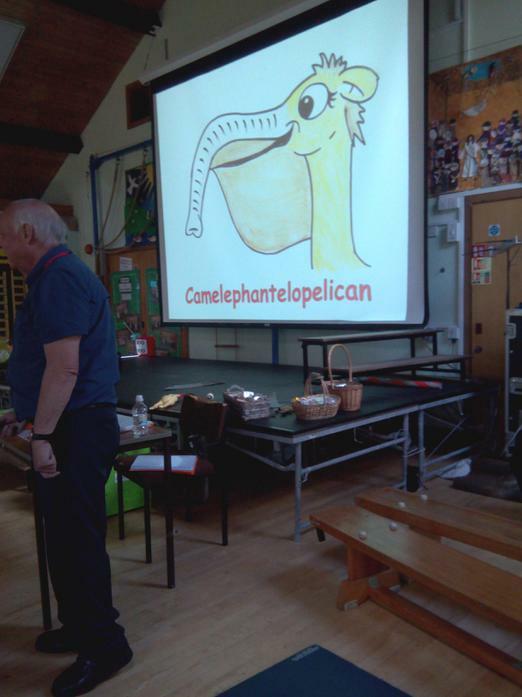 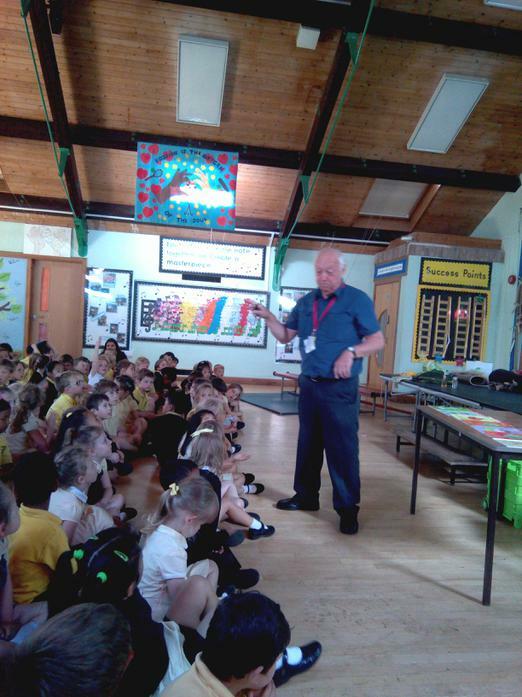 On Thursday 21st June Clive Dale, a local children's author, came to visit us. 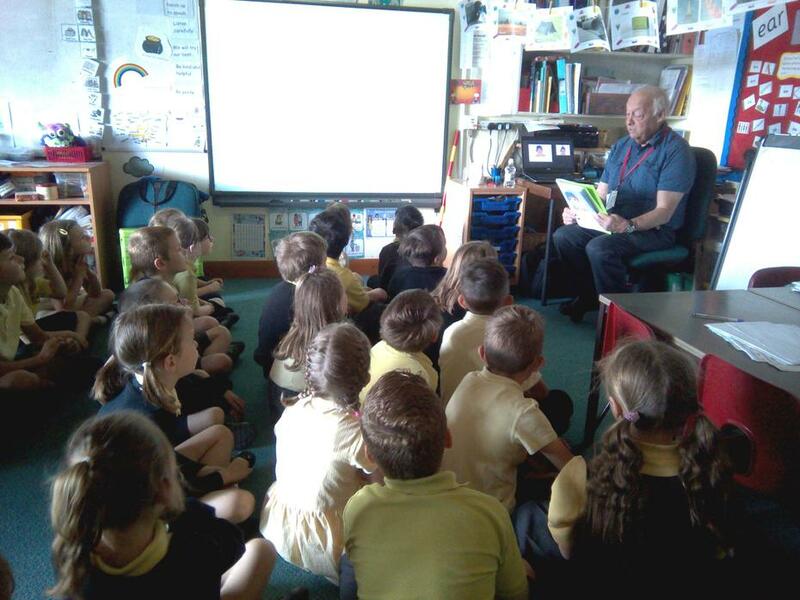 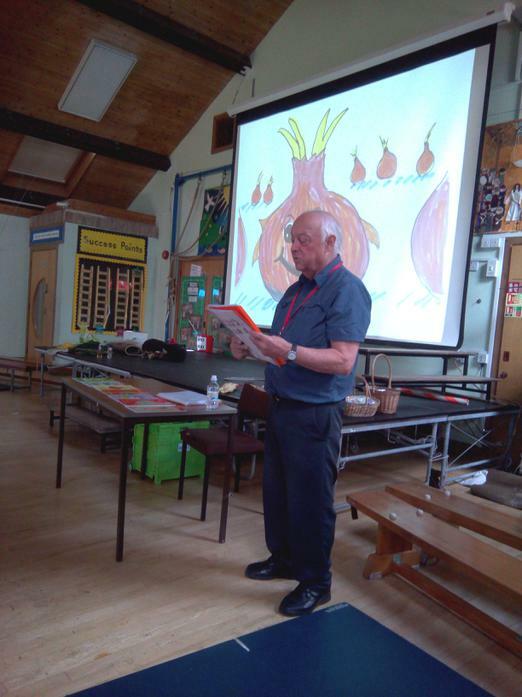 We enjoyed hearing his stories about fruit and vegetable characters with Christian value morals. 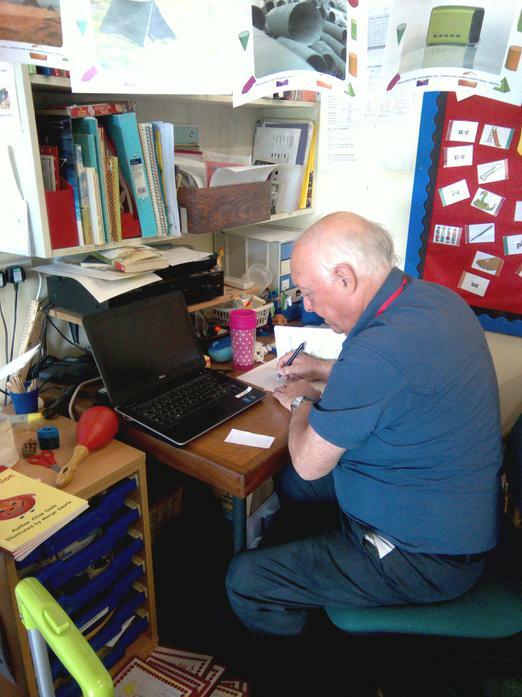 We found out how he writes his stories and has them published.